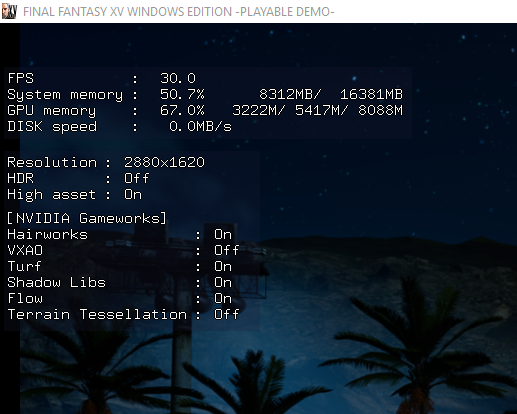 The Final Fantasy XV Windows Edition playable demo is now available for download in all regions, and players have started looking at the game files to see if there’s anything interesting in them. One player has managed to discover something that grants access to graphics options not available in-game. 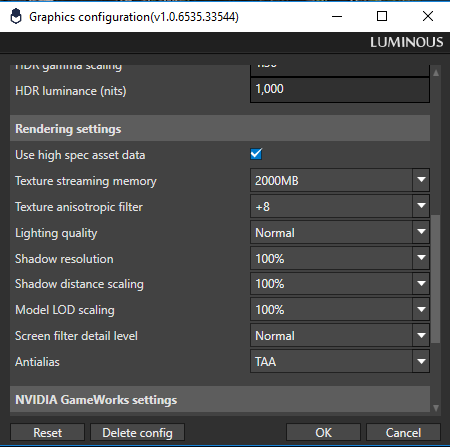 Reddit user Ryudo_Gaming found a Luminous Engine tool in the game’s files that gives access to settings not available in-game, like increasing Shadow Resolution to 800% and more. So i had a quick look over the place and didnt see this posted but if you go into your FFXV directory then go to tools then GraphicsConfigurationTool there is a Luminous Engine tool there that allows you to edit settings that are not currently in the ingame settings page such as Shadow Resolution up to 800% showing on screen stats like so. The Final Fantasy XV Windows Edition and Royal Edition, launching next week on PC and consoles, are just the beginning of a 2018 filled with more content. Last week, it’s been confirmed that 4 DLC episodes will be released up to 2019. The first one will be episode Ardyn. I changed the plan a little. As a result of thinking about what kind of content it should be done to finish this game by the team, we made 4 pieces as well. Although I was thinking that three of them will be produced within the first year in the beginning, I am now wearing a compromise because I want to make it a little better than that. 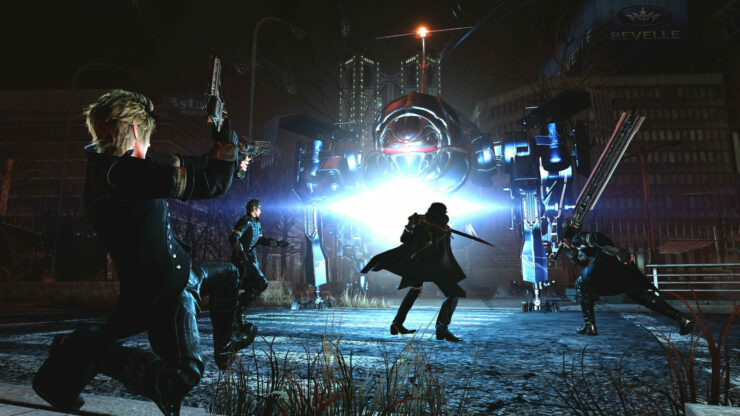 Final Fantasy XV Windows Edition launches next week on Steam, Origin and the Windows Store. The Royal Edition also launches next week on PlayStation 4 and Xbox One.